Afternoon everyone! I thought I'd post my usual Christmas-time giveaway for you all, featuring one of my favourite brand's most popular makeup kits. 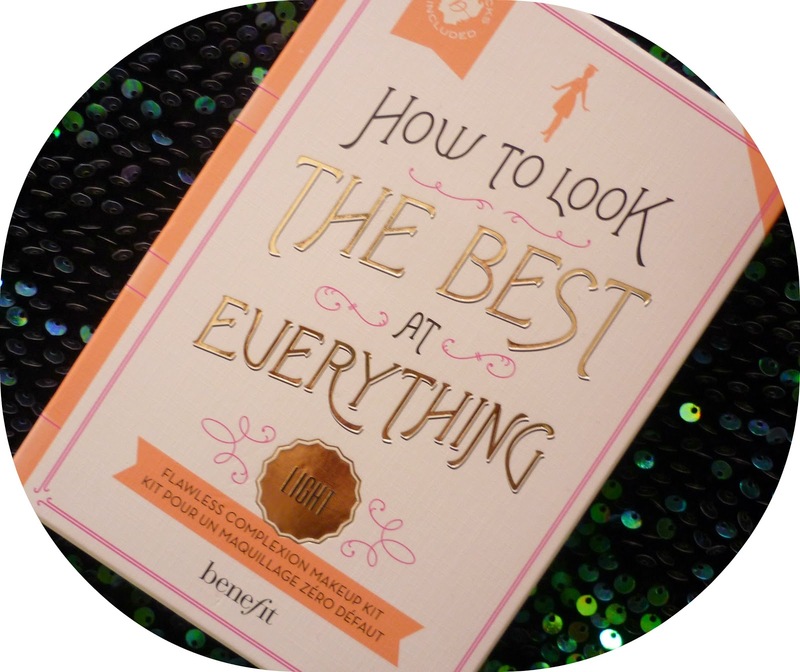 I received this Benefit 'How To Look The Best At Everything' skin perfecting kit at one of their events recently, but the makeup is too dark for me unfortunately. I didn't swatch/ use a thing in the box - I swatched the makeup in my Nana's one to test the shades. I'm lighter than an NC15 from MAC, and paler than most people so don't fret if you're fair-skinned. This is the 'Light' box, and would cater to anyone from an NC15 - NC25. Even if the products are too light/ dark, you can always mix them or give them to someone as a present! The kit includes a Tips & Tricks makeup guide, the amazing POREfessional Primer, Hello Flawless foundation, two Boi-ing concealers (light and medium shades), a makeup brush and Hello Flawless powder. Good luck & Merry Christmas!